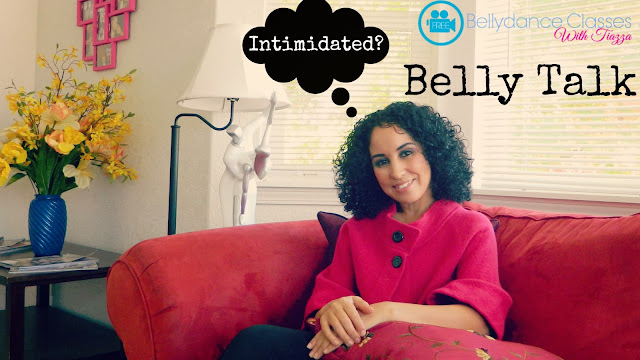 Belly Talk: are you intimidated by advanced dancers? The question was prompted on Facebbok. One of the followers was wondering if it's OK to attend a workshop that is a bit more advanced for her. She lives somewhere where she does not get a chance to attend many classes and workshops. She wants to learn more and advance in her practice but she feels intimidated by the advanced dancers that might attend .